The day that only comes once every four years has finally arrived, Leap Day. This is not just an average day, but a unique one that has many interesting traditions and beliefs based on this day. 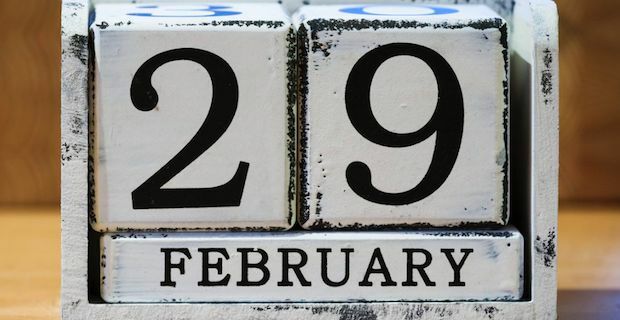 The most common tradition associated with Leap Day is the idea that today is the day women can propose to men. One theory as to its origins dates back to the 5th century when the Irish nun St. Brigid complained to St. Patrick that women have to wait too long for the men to propose. St. Patrick then granted them this day in which women can pop the question. It is also seen as a way to balance traditional roles in the same way the leap day balances the calendar. But in some countries there is a penalty if the man refuses the proposal. This could be anything from giving her 12 pairs of gloves so that she does not feel embarrassed about not being engaged, to purchasing fabric for her to make a skirt as they do in Finland. Those that are born on the leap day are referred to as “leaplings” or “leapers”, but according to BBC there is only a 1 in 1,461 chance of this happening. Unlike the rest of us, the 5 million leaplings in the world can also join the Honor Society of Leap Year Day Babies. Those that live near or in Anthony, Texas, USA are enjoying the Worldwide Leap Year Festival as they are the self-proclaimed “Leap Year Capital of the World”. This festival includes a craft fair, car show, live music and much more. There are also many superstitions based around this day and year. The Russians believe this year brings bad weather patterns and higher risks of death. The folklore goes that the beans and peas “grow the wrong way”. The Scottish have a similar superstition believing it is not good for the livestock and crops. “Leap year was ne’er a good sheep year”.